I wanted to show the entire process of how to make a freehand flower embroidery design in my videos, so I filmed each section of the process as a shorter segment, then I put all the segments together in one longer video. If you want to make your own embroidery flower design using these directions, you'll notice in the video everything is shown in the order I did it. 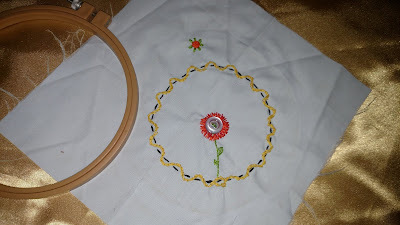 I originally started this embroidery project thinking I would make it into a quilt square, but I decided I am going to make it into a small wall-hanging to display with some of my other stitched creations behind my comfortable sewing chair. If you just want to refresh your skills on a specific embroidery stitch instead of watching the full length film, there are short episodes available on the channel that are designed to help you master each type of stitch. 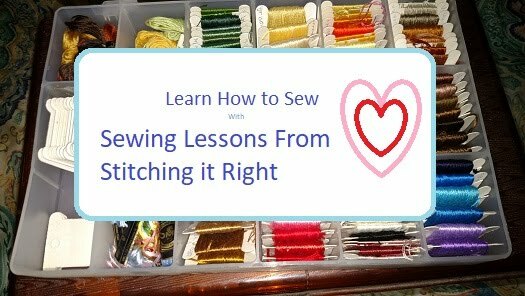 Thanks for visiting Stitching it Right, comments are welcome and it would be so great if you join the conversation on Facebook or visit the YouTube channel so you can subscribe and leave a comment.